This feature resource is intended for use with Standard Grade pupils studying Changing Life in Scotland in Britain Context C: 1880s to the present day. 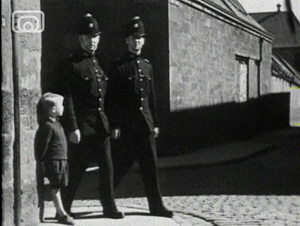 Some of the films and activities may also be suitable for work with upper primary and junior secondary pupils looking at life in Scotland from the 1930s-1960s. The late 19th and early 20th centuries saw great internal migration of people within Scotland and the UK, with many people moving from rural areas such as the Highlands to urban areas such as Glasgow in order to find work. 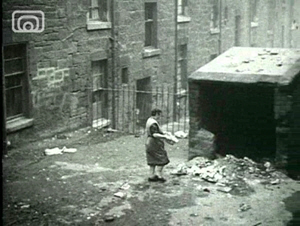 While the conditions they had left were often poor and unhealthy, many rural incomers found conditions in Scotland’s towns and cities to be even worse. Overcrowding was rife, as were unsanitary conditions, leading to the spread of disease. 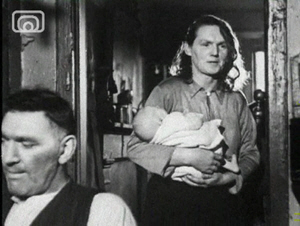 While many improvements were made by the 1930s, such as the establishment of clean water networks, poor living standards still existed in areas of towns and cities which became known as ‘slums’. 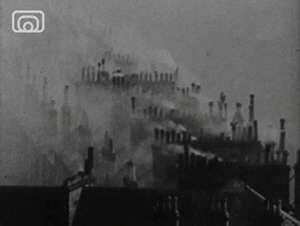 The films we are going to look at will depict these conditions and show the improvements that were to be made by the Government and local Councils in an effort to get rid of slums, such as the development of the ‘New Towns’. This clip is 7.29 minutes long. Why does the commentator think that ‘juvenile delinquency’ (children getting into trouble) has grown during war time? Describe what the boys in the film look like. Do you think they are being well looked after? Why do you think the boys broke into the shop? 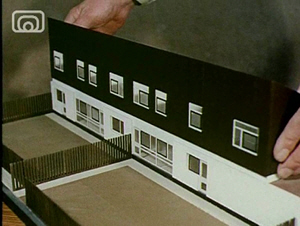 Describe the living conditions in the tenements you see in the film. What do you think they would have been like to live in? 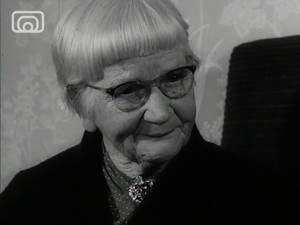 The commentator says that ‘damage has already been done’ to children by the age of five. What does he blame for this? In what ways are the family in the better flat still struggling? This clip is 7.58 minutes long. 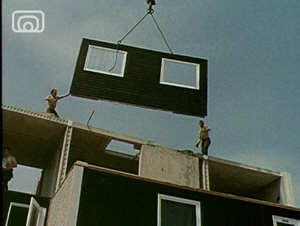 Describe the houses and flats shown at the start of the film. What are the poorest houses like and what are the richest ones like? What kind of people might have lived in each of them? What does Glasgow city planning committee want to see built in Glasgow? What does the commentator think is wrong with roads in Glasgow? Why do the committee propose to build a tunnel under the Clyde? Describe what the new housing that the committee proposes to build will be like. In what ways will it be better than the old housing? Describe why the committee want to build new roads and what these new roads will be like. This clip is 6.24 minutes long. Describe what Glasgow looked like in the 18th Century, before industrialisation. Where did most of the incomers to Glasgow come from originally? What benefits did the new clean water network bring to Glasgow? What new officer did the city of Glasgow appoint in 1863? What changes did he bring to the city and how were these beneficial? Why did he think it was necessary to tackle the problem of poor housing in Glasgow? This clip is 5.34 minutes long. What does the commentator say ‘are the worst enemies of public health’? What improvements have been made in the past few years? Describe the kinds of things the children are doing at nursery school. What similarities and differences might there be with children at nursery school today? Describe the kinds of things the children are doing at school. What similarities and differences might there be with children at school today? Why do you think the Government saw nurseries and schools as so important in promoting good health in children? Do you think they are given the same importance today? List any ways that your school promotes good health at the moment. This clip is 10.44 minutes long. Describe what the village of Livingston looks like before the new town is built. Why do you think the planners decided to build the new town around the River Almond and protect the trees already standing in the Almond valley? What other things are the planners considering in building the new town? Where are Livingston’s water supplies to be channelled from? Describe how the first houses in Livingston are being built. How might this have differed from house building in the past? 1) Imagine you are appointed to the Public Health Committee for Glasgow in 1949. In pairs, develop a PowerPoint presentation to try to convince the Government that Glasgow needs money for new housing. Your presentation should look at the problems of overcrowding and disease within the city’s slums and should include appropriate images of slum housing. It should explain why new housing is needed in Glasgow. Presentations should include at least 6 slides. 2) Imagine you have come from the Highlands with your family to seek work in Glasgow in the 1930s. Your family is poor and you have many brothers and sisters. Write a letter to your friends back home describing life in Glasgow. You should explain the type of house you live in, your school, your family’s health and the kinds of things you do in your free time. a. Where, when and why there were built b. What features they have in common c. How successful they were in meeting people’s needs for good health and housing. Present your findings in a report or PowerPoint presentation. 4) Develop a leaflet aimed at encouraging people to move from poor areas of Glasgow to the new town of Livingston. The leaflet should explain the advantages of living in Livingston. It should look at types of housing available, schools and workplaces, facilities, environment and transport links. The leaflet should be bold and colourful and on two sides of A4. This lesson guide was developed by Olivia Drennan.